It was a cold day in October of 2008. The summer was giving way to winter more quickly than usual. I sat at my desk at Smithtown Motors researching the cars that would run through the auto auction that week, and thinking hard about the mess I found myself in. The small auto lot located just outside of St. Bonifacious, MN was drafty, and not many folks stopped by to look at cars, or even to say HI anymore. I tried to blame the downturn in business on the economy. I tried to operate with the highest level of honesty and integrity in a business with a bad reputation, but wasn’t able to make any money. I just couldn’t find enough vehicles, finance them, fix them, clean them, photograph and market them enough to make more than a few hundred bucks per vehicle and my numbers didn’t look good. I found myself $120,000 in debt with very little money coming in to offset that. I was frustrated and tired. I began to realize that my dream of being my own boss in the car business was coming to an end. I had left a sales and marketing position 3 years earlier to pursue “being my own boss” and attempting to impact the used car business one transaction at a time. I was confident I could change the perception people had of used car salespeople. I thought I would combine my 15 years of photography experience with my marketing and sales experience to approach marketing vehicles in a new way. Maybe the market wasn’t ready for me. Or maybe it was the other way around and I simply had too much yet to learn. See this article written about us in MN Parent Magazine, May, 2008 (http://www.minnesotaparent.com/the-minivan-makes-the-man) I had been an amateur photographer since junior high and had often done paid gigs on the side. After college I was increasingly asked to be a photographer for hire; however, it was always a “side” thing. 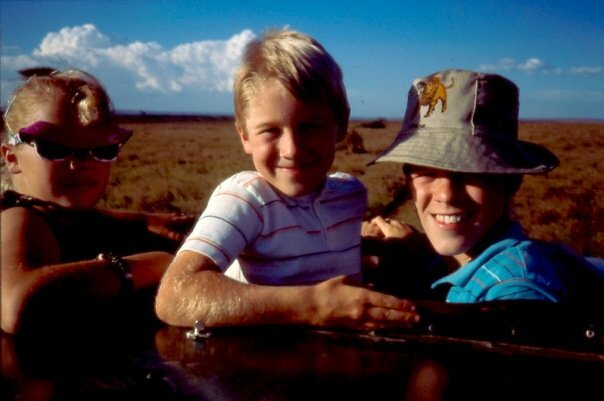 Jeff, pictured right, alongside his siblings in Kenya, Africa, 1987. His family was photographing missions work for "Mission Moving Mountains". I began looking for a way out of the car business and thought that I’d expand my photo business, while seeking my next opportunity. At this point I still didn’t think I could make it full time as a professional photographer, and deep down, I wanted to approach that business differently as well. I didn’t want to be your average wedding or portrait photographer. I wanted something more and felt like perhaps God was pushing me towards something more. Through a networking group I met a marketing company who hired me to do a photo shoot for Youngstedts Companies, a local, family-run, chain of automotive repair facilities in the Twin Cities West Metro area. It was 2007 and the campaign was “Keeping Your Car Young”. I had to photograph the founder, Larry, and his son Steve (the current CEO), in lab coats as if they were your car’s doctor. We got along great at the photo shoot and I felt as though it wouldn’t be my last encounter with Youngstedts. Early in 2008, I was invited to visit an open house for Youngstedt’s new Auto Body shop in Chanhassen, MN. My family came along and enjoyed soda and a hot dog, jumped in the inflatable “bouncy” house and just hung out with the guys from the shop. I struck up a conversation with a guy named Craig, who I later learned was Steve Youngstedt’s business partner. Craig and I shared a number of mutual friends and our faith in common, and developed a sense of camaraderie instantaneously. I remember pulling away from the shop that afternoon and telling my wife, Alicia: “I like these Youngstedts guys. I could see myself working there some day.” That “some day” came a bit sooner than I thought. I started as “Commercial Account Manager” at Youngstedts in December of 2008. I had come out of desperation, but was open to what may be in store for my career. My initial plan was to be there for under a year, until I could get back on my feet and potentially take over another friend’s business. I was tasked to help them get their commercial fleet repair business off the ground, assist with grass-roots marketing efforts, and help with photography when the need arose. Months turned into years, and nothing ever panned out with my friend’s business. I really enjoyed my job at Youngstedts and started noticing the fruit of my labor there about 2 years into the job. We added fleet accounts like Centerpoint Energy, Qwest, Comcast, Delta Airlines, Mediacom, Mn/DOT, and multiple other large accounts. I took photos at company events and for store signage and marketing promotions. I started representing Youngstedts at charity events and other grass roots/community-building marketing efforts. One day, during a video shoot for an upcoming TV ad, I was asked by the company they hired if they could borrow some of my camera gear for the TV shoot. We had a good laugh at first and then started to question why we were hiring out the video production. I suggested we look at bringing that work in house to conserve funds, and ended up with an additional role! Over the next 2 years, in addition to my ongoing tasks, I built a YouTube channel and a series of videos following the restoration of a 1966 Corvette Stingray. We created the videos as an attempt to create content that our potential customers would WANT to consume, and to hopefully, raise our rank in web search engines. 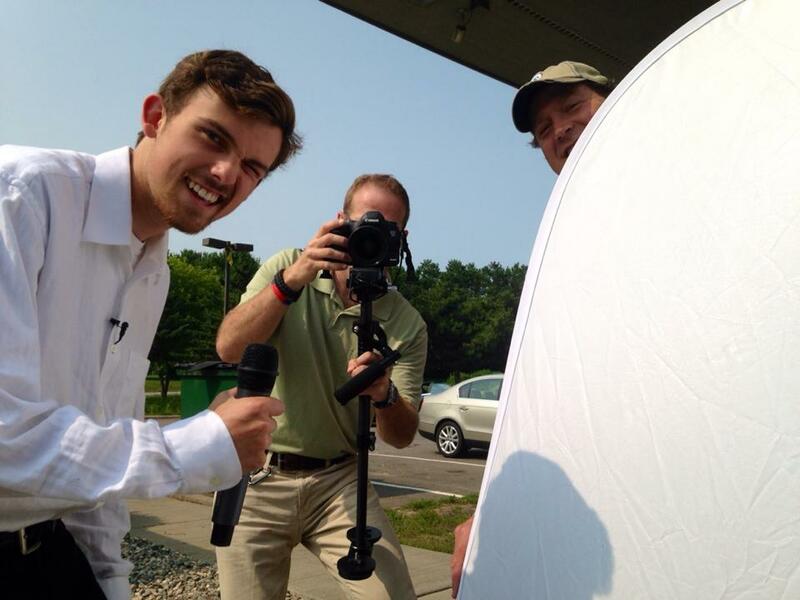 I did video for marketing events, a training video for their car washes, and started to produce Youngstedts TV Ads. I had only dabbled in video prior to this but started to garner some attention for these services from outside of Youngstedts. Jeff filming a TV Ad for Youngstedts Auto Centers. Pictured with Alex Youngstedt of Youngstedt Companies, and Jay Witta of JWDA, Inc.
Youngstedts had been in business over 40 years and was virtually invisible online. So, I then took on another role… SEO. I claimed and began to manage all of their local Google pages. Then I worked with a web developer to do keyword research and optimize the local listings to match the most highly sought after keywords for our business. I worked with our IT team and with leadership on a new website. We partnered with a company that specializes in building websites for independent auto repair businesses and the site was loaded with relevant content to help increase our chances of being found organically. 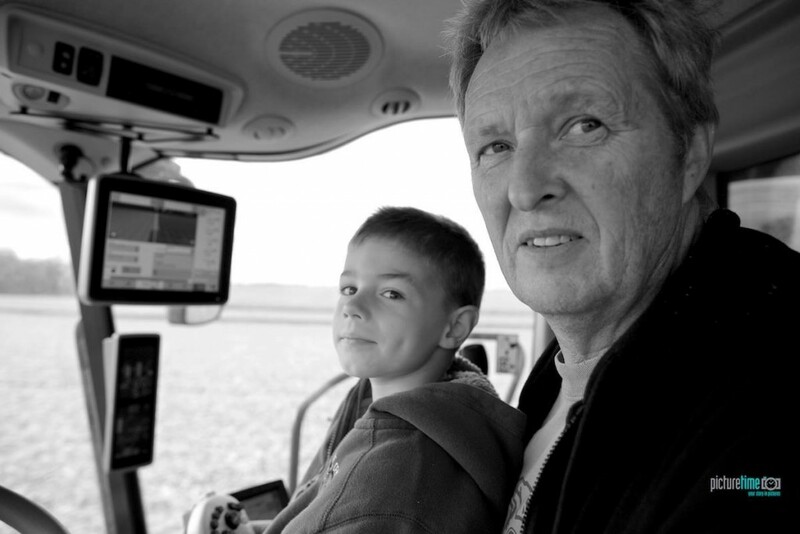 Over the course of 12-18 months, we started to see vast improvement in Youngstedts “rank” online. Most of the 13 stores could be found on the first page of Google for both local AND organic search. At this point, I’d been at Youngstedts about 5 years, and my entrepreneurial bent was nagging hard. I approached the leadership a few times about other opportunities for growth in the company, and those conversations never led anywhere. I’d reached the “glass ceiling” and it was time to see what God had in store for me next. In February, 2014, my family had driven to Florida for a “Disney Experience”. I flew down for 5 days to be with them. At the airport, just before boarding an airplane back to Minneapolis I met Doug Peterson. Doug, a farmer from southern Minnesota, was tall, thin, and had salt-and-pepper hair. He had a gentile smile and a twinkle in his eye. His guitar belt-buckle caught my attention first and we struck up a conversation almost immediately. We chatted in the waiting area about guitar, leading music in church, and what it was like to farm 3500 acres. He introduced me to his wife Judy, and his adult children who were also on their way back to Minnesota after a few weeks in Florida to thaw out, (The winter of 2014 was one of the coldest on record in Minnesota.) It was then time to board and by surprise, I was assigned a seat next to Doug for the flight home! Doug and I chatted the whole flight. We spoke more about work and Doug showed interest in the videos I’d done for Youngstedts. He started to ask about how I may be able to help him and his church with an upcoming project. The church Doug and his family attended was to celebrate their 125th anniversary that summer. Leadership at the church had been talking about putting together a video story that they could share with the community during the anniversary celebration. Doug asked if I’d be interested in coming down to help with the project. In June that year, and after a series of phone conversations with the church’s pastor, my daughter and I went down to Fairmont, MN for the weekend to film the video. Upon our return that Sunday afternoon, after having worked a full week at Youngstedts the week prior, and knowing I had to work bright and early the next morning, my wife Alicia said as we were unloading our equipment: “So… how was that”? I responded: “I’m tired, but I feel like I just did what God gifted me and put me on this earth to do! I want to help businesses, non-profits, and ministries tell their story with my camera.” It was then that I knew my days at Youngstedts were limited, and that I needed to pursue my passion and put my God-given gifts to work full time. In July, 2014, my daughter and I went to Lima, Peru on a 9-day missions trip along with 140 others from Grace Church in Eden Prairie, MN. 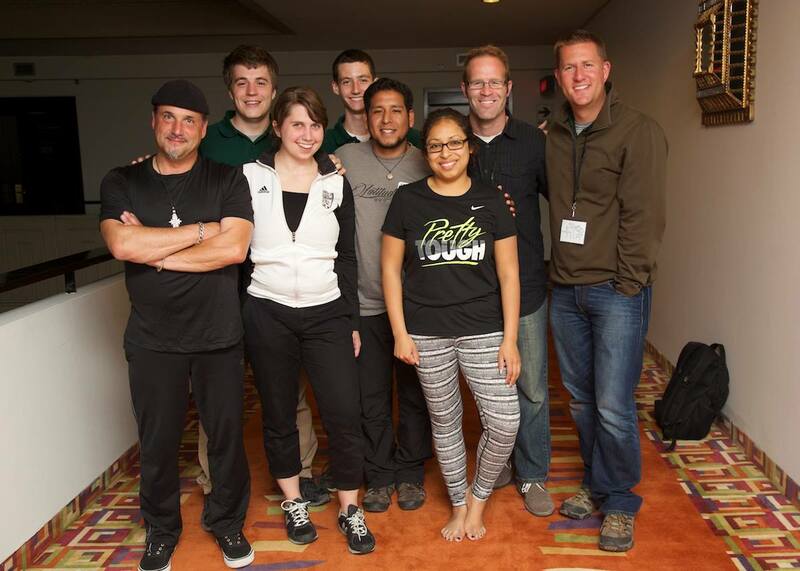 My role was to work with the media team and to help tell stories about the work of God in Peru. 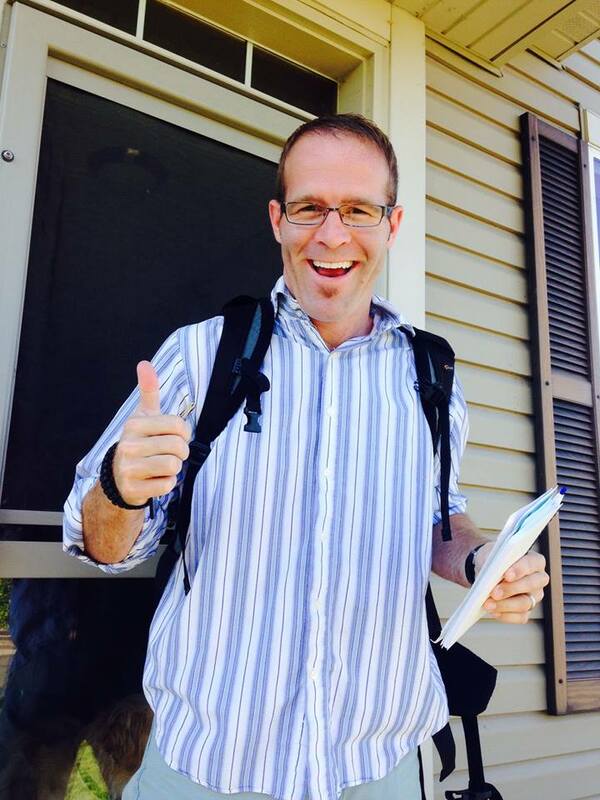 One of our teammates on the trip was Dave Berggren, a reporter for KARE 11, the NBC affiliate in Minneapolis. Dave and I had the privilege of working together all week, capturing footage and telling some amazing stories like this one (https://www.youtube.com/watch?v=M0uDHP6_BzU). I learned so much in that week, gaining interviewing experience and learning from Dave as he would find a story, interview for it, and boil the information down into something informative and interesting to watch. After returning from Peru on August 3rd, I put my notice in at Youngstedts a few days later and my last day was August 19th, 2014. Picture Time was officially open for full-time business on September 2nd, 2014. We look forward to the years ahead as we help businesses, non-profits, and ministries tell their stories in pictures, still and moving. You are passionate about your story! It’s our passion at Picture Time to help you tell it!